Well, maybe it’s more than a day, but I’ve always wanted to use that title. I just thought I’d share some of my cell phone shots, which show what I’ve been doing lately. 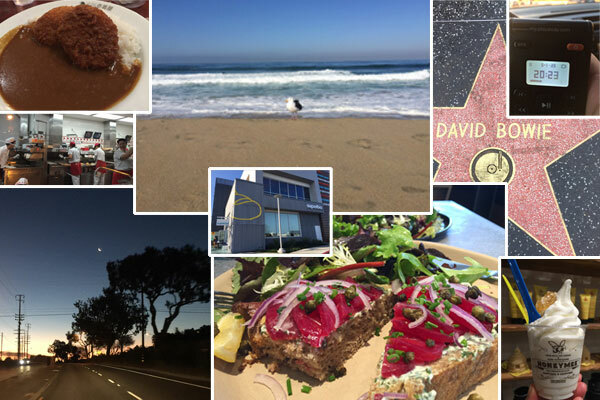 Think of it as my Instagram feed, except in blog form. I haven’t been very good about posting these days, so this is my way of catching up. 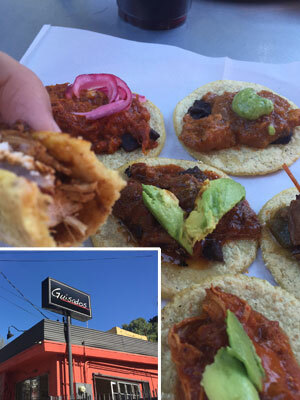 On weekends we go out to eat a lot–it’s become our activity to explore places we’ve never been, to see if those Yelp or Serious Eats reviewers know what they’re talking about. 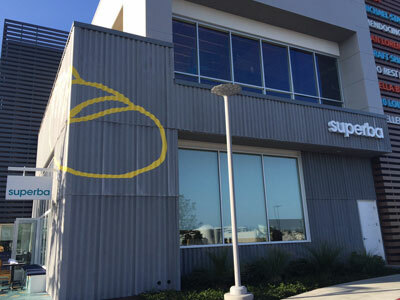 SUPERBA was one of those places. I got the beet marinated salmon on artisanal bread, dressed in herbal goat cheese and topped with capers. Pretty tasty, except it shocked me at first because I couldn’t figure out where the salmon was. Then I realized–oh yeah, marinated in beets! I think this was the day we ended up with something less frou-frou and more to my liking for dinner–Croquette Curry at COCO ICHIBANYA, my favorite Japanese style curry place. I’m a bit of a wimp. I can’t go past Spicy #2 without setting my hair on fire. Some Saturday mornings we’ll fight the laziness and make it to the beach (we live about a mile away) and take a morning walk. The seagulls and surfers are usually already out there by the time we get there, but at least we make the effort, right? Did I tell you we drive there even though we’re only a mile away? My weekday mornings are much earlier. Since my work commute is pretty far (70 miles), I leave when it’s still dark and I come back when it’s already dark, during the winter months when the days are short. But it’s peaceful when there’s no cars yet in the city. You can see the sun just rising as the moon above is just setting. In no time though, I’m on the freeway and hitting morning traffic. I pass my time listening to audio books on CDs and MP3 players like the one you see here. I’ve “read” so many great books now, more than I’ve ever read in my entire life. How did I ever get through college as an English major? That day since we were in the area, we decided to extend the field trip by stopping in Hollywood, where we never go–and now we know why; bad traffic, bad parking, too many tourists. But I couldn’t resist taking a picture of David Bowie’s star on the Walk of Fame–I’m a classic rock fan, remember? RIP Ziggy, you were way too young to leave us on earth. Sometimes dinner is simple. We’ll go to In-N-Out and just bring it home. 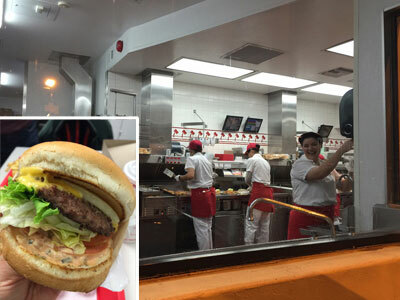 I took a shot of the employees hard at work, making the best hamburgers in the West, right from the car at the drive-thru window. My son, who is going to school in Boston right now, told us that people on the East Coast think In-N-Out is the holy grail of hamburgers. Lucky we live L.A., eh? But it’s all relative…a lot of people here think Shake Shack from New York is the best. I’ve had both, they’re both good and different so it’s tough to compare, but In-N-Out is the better value for sure. 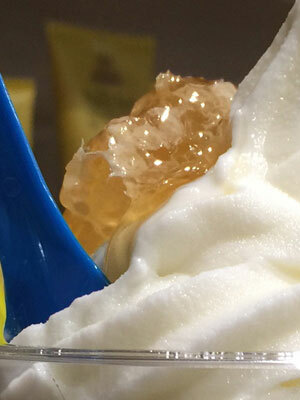 Our trending dessert for us right now is an ice cream place called HONEYMEE. It’s actually a rich and creamy kind of soft-serve, with a cube of real raw honey, still in its honeycomb, sitting on top. What it reminds me of is the old days when I would stop at a gas station to get a soft-serve from those machines. Of course, this is much better–the milk is real and flavorful, without being too sweet. I can do without the honeycomb, which is basically like chewing wax. This was fun to write…thanks for reading! Last month we featured savory, comforting, delicious ramen. More specifically, Japanese-style crepes. You’ve heard of crepes from France, filled with sweet fruit compote or ham, eggs and cheese. And you’ve probably tried crepes from other countries, like rice-and-lentil-based dosa from India. But Japanese crepes are unique, interesting and quintessentially youthful! Crepes are thin pancakes, and in Japan, they are made to be sweet. The batter, consisting of eggs, milk, water, salt, flour and butter, is poured onto a griddle, and spread very, very thin in the shape of a circle using a crepe paddle. The crepe is cooked through until golden, then transferred to a plate using a long, flat spatula. 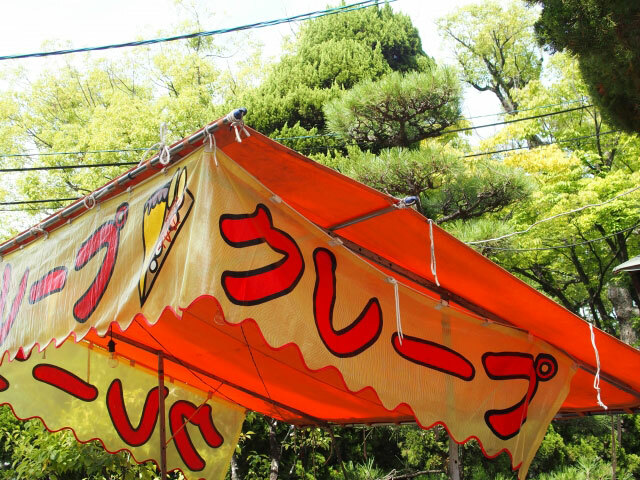 And that’s where the specialness of this Japanese street food begins! Fillings and toppings range from fruit—such as strawberries and bananas, chocolate and whipped cream—to potato salad, hot dogs, tuna, pizza toppings, spaghetti, cheesecake and even frankfurter salad with lettuce, frankfurter, turkey, kidney beans and ketchup! Any and all of these fillings are rolled inside the crepe, and then served in a paper cone. The varieties are endless, and unique to the ubiquitous crepe shops that have popped up across metropolitan areas in Japan since crepes were introduced in the 1970’s. Today, young people from middle school through college congregate at crepe shops to savor the flavors of this great street food. 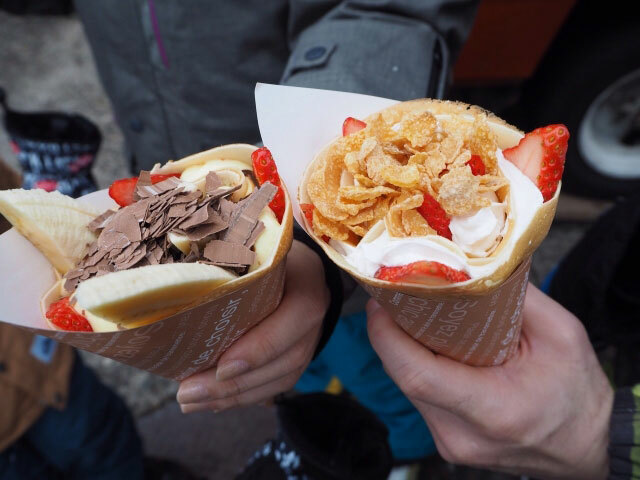 Regardless of what type of crepe becomes your favorite, this iconic Japanese street food is always something we’d love to eat! Tell us about your favorite crepe… and try out one of our favorite recipes! Stay tuned for next month’s street food showcase! Last month, we started our Essentials of Japanese Cooking series with the first two ingredients of ryori no sa shi su se so—sugar and salt—and how they’re used to begin preparing a simmered dish. We continue this month with the next two ingredients… vinegar and soy sauce. 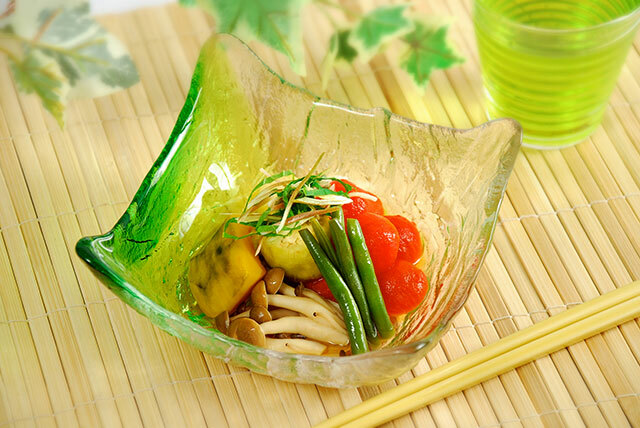 Vinegar, or su, is a key ingredient in the traditional Japanese pantry. Japanese vinegar is typically made from rice and has a light, golden brown color and mild, sweet taste, without the strong acidity found in distilled or wine vinegars. Rice vinegar serves many purposes in Japanese cooking: it is a preservative used for pickling, it prevents discoloration of vegetables and rice, it tones down salty flavors and tenderizes meat, poultry and fish, and is used to prepare sushi rice and sunomono, Japanese pickled salad. As part of the ‘principle of five’, vinegar is used to marinate ingredients before they are cooked and to add to the supercharged liquids used for simmering. It’s also used to create complexity in sauces, dressings and pickles. Vinegar’s acidity is balanced by the savory taste of shoyu, or Japanese soy sauce, the se. Two types of shoyu are most predominantly used in Japanese cooking: light (usukuchi shoyu) typically used in Kansai style cooking and dark (koikuchi shoyu), traditionally used in Kanto style cooking. Both types of soy sauce are made from soy beans, wheat, rice, salt and yeast, with the ingredients fermented and aged naturally to give the resulting sauce a rich flavor. In Japan, shoyu is both mass-produced and artisanally prepared. Traditionally, shoyu is made by combining the ingredients and fermenting them in large vats that are hand-stirred. Larger manufacturers follow a similar process, but allow machines to mix the ingredients. In either process, the sauce is aged for at least six months. Koikuchi shoyu is produced most often, and is considered the ‘standard’ type of Japanese soy sauce. It is made with equal parts soy and wheat, plus salt and yeast. This darker soy sauce is used for simmered dishes and most often in home cookery. Usukuchi shoyu, the second most popular soy sauce is lighter and saltier than koikuchi shoyu. It’s the preferred soy sauce for haute cuisine and recipes originating from the Kansai region of Japan, and because of its lighter color and unique flavor in dips and sauces that need to be light in color. Usukuchi shoyu is made from soy, wheat, salt and yeast, and is often flavored with fermented rice, wheat gluten or amakaze. Tamari, Saishikomi and Shiro shoyu are specialty types of sauces, often used as dipping sauces and for flavoring specific dishes. Shoyu is serious business in Japan, as it is one of the essential condiments used in all Japanese cuisine. 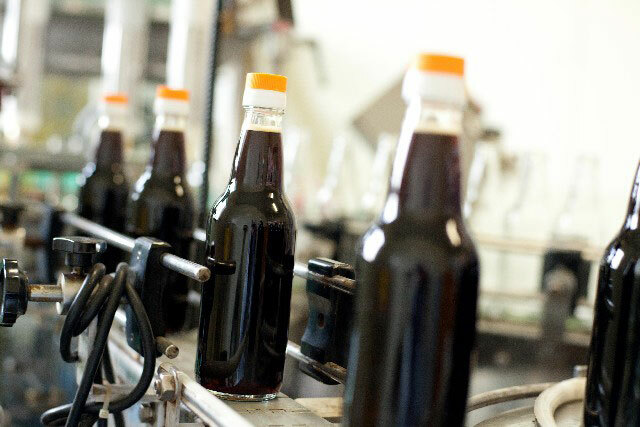 The Japanese Ministry of Agriculture, Fishing and Forestry and the Japanese Soy Sauce Association both monitor the grading and labeling of shoyu. Grades include special, first grade, standard grade, extra select and ultra-extra select and labeling includes the notation of any additives, whether the ingredients were grown without pesticides or chemical fertilizers, whether the sauce was made from the whole soy bean, whether the sauce is low sodium and whether it raw and unpasteurized. Simmered dishes, or nimono, rely a great deal on sa shi su se so used in a dish in a particular order, and are exemplary of the fundamental rules of Japanese cooking. Vinegar is used to tenderize or marinate meat or poultry before adding these types of tougher materials to a simmered dish, and is used to coat vegetables after quickly simmering to prevent discoloration. Shoyu is often added to simmering liquids to impart light to robust flavor and umami to foods. Each step of a nimono recipe is performed precisely in an order that enhances the qualities of each ingredient, building complexity while remaining delicate and true to the tastes of the food itself. 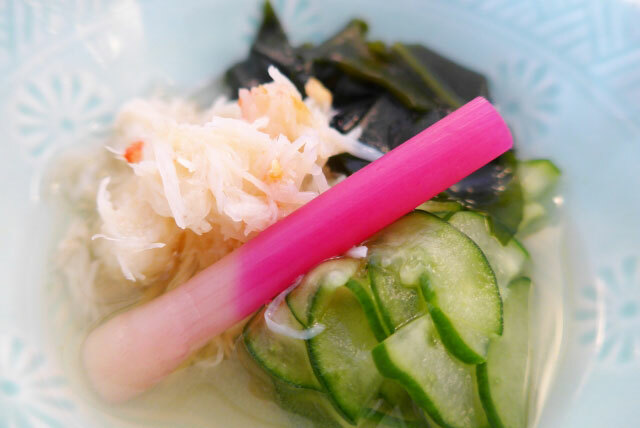 We have a lovely Nimono (Japanese Summer Vegetable Stew) recipe on our website that is easy for beginners and we hope you enjoy trying it! In our next post, we’ll discuss how miso is used and how this essential of the Japanese pantry is used in many dishes. We’d love to hear back from you about your experiences as a beginner with Japanese cooking, so leave us a comment below. Pancakes, pancakes, and more pancakes. It’s winter and we all want the warmth of comforting food. Our Gourmet Sizzler® Electric Griddle (EA-DCC10) is a great appliance for everyday cooking, and while griddles are traditionally used for pancakes (and we are giving you some great recipes below! 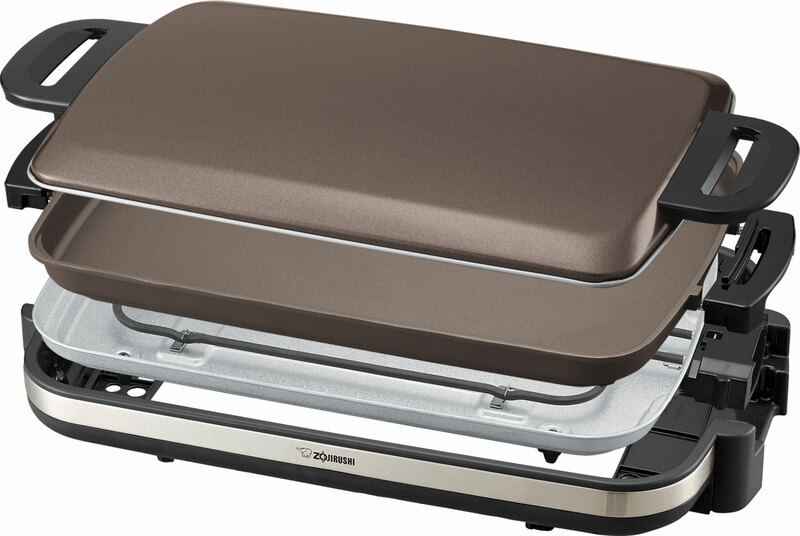 ), the Gourmet Sizzler® Electric Griddle is versatile enough to use for any meal. It has an extra-large surface that allows you to cook everything from breakfast dishes like pancakes, French toast, sausage, bacon and hashbrowns, to stir-fries, gyoza, cuts of meat and poultry, and burgers. The unique lid spans the entire cooking surface, cutting down on cooking time, helping foods cook more evenly and allowing you to steam food directly on the griddle. The Gourmet Sizzler® Electric Griddle’s other features also make it a great appliance to add to your countertop. The heating element runs the entire width and length of the griddle for even heat distribution, which means no hot or cold spots on the cooking surface. The cooking surface itself is made of cast aluminum, covered by dual ceramic layers, which help with heat conduction and retention, as well as a titanium enhanced nonstick, diamond-patterned surface that makes the plate durable and easy to clean. Temperature control is easy with the Gourmet Sizzler® Electric Griddle’s temperature control plug, which can be set anywhere from a “keep warm” 175°F all the way to 425°. The plug is removable, making the griddle plate fully immersible and easy to clean—and, when you are ready to start cooking again, the plug clicks when inserted so that you can be sure it’s securely in. All parts disassemble for cleaning and the body guard and the cooking plate can also be immersed in water. The EA-DCC10 has been designed with safety in mind. The griddle will not heat up unless all parts have been properly installed. The body guard protects the user from scalding or burns, and the handles are heat resistant, so the griddle can be transported easily and moved around on the countertop. This griddle is practical, versatile and easy-to-use. 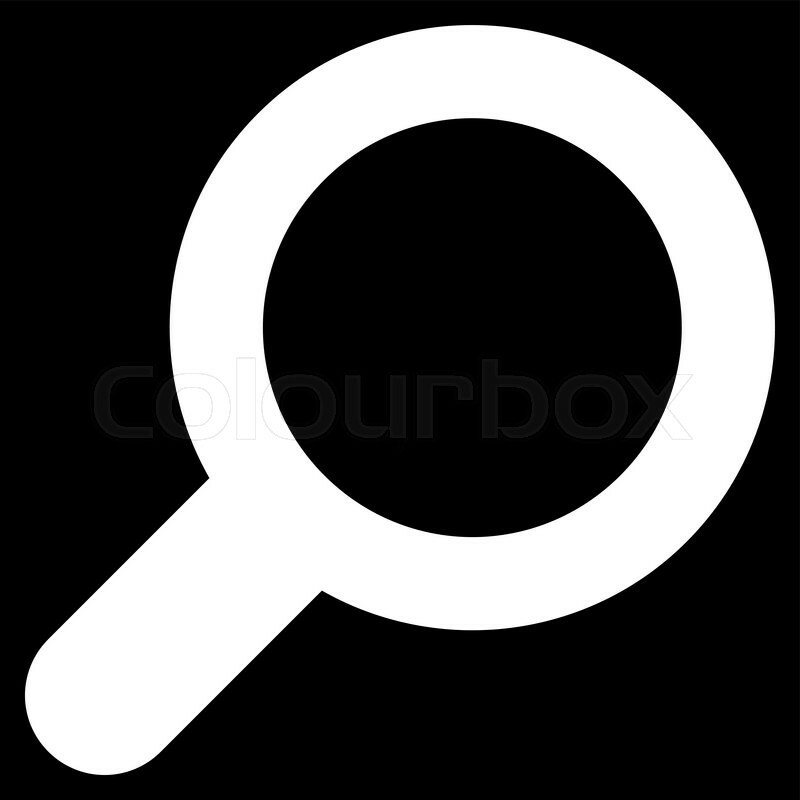 For more information, check out our demonstration video. And, as we promised… here are some great pancake recipes for you to try. Don’t forget to share your own recipes with other Zojirushi fans! We’re back this month with our second blog about rice and the deep relationship we, as a human race, have with this amazing grain. Rice is grown all over the world, existing in many shapes, colors, sizes and flavors. 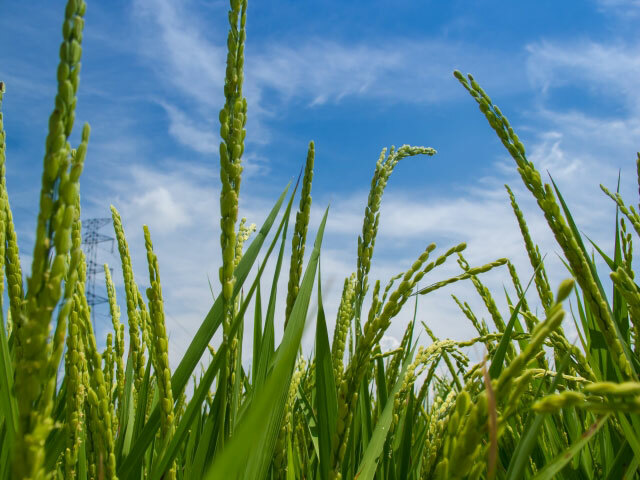 As we wrote last month, the rice plant is a type of grass, which produces fruit that ripens into grains of rice. When ready, the plants are harvested, dried and threshed, which results in unrefined rice grains that are separated from the plant stems and leaves. The unrefined grains go on to be cleaned, polished and packaged before they are used to create the many dishes that human societies all over the world relies on for nutrition and sustenance. During the processing phase, rice grains are generally grouped by their origins, and then by size (short, medium or long grain), by the color of the refined grain (white, purple, red or black) and by its texture (loose or sticky). The initial de-husking removes the outer hull surrounding the rice grain, exposing the bran. The bran is either left on the rice—resulting in brown rice if the inner grain is white—or the bran is removed, which leaves the inner grain exposed for polishing, resulting in white rice. Colored rice varieties, like red and black, can be eaten with or without their bran covering. Short-grain rice is the most common type used in Japanese cuisine, giving it the broad classification Japonica. (By contrast, long grain rice is categorized as Indica.) These grains are almost round in appearance, and typically less than 5mm long and 2.5 mm wide. These varieties require less water to cook and generally result in starchy or sticky rice. 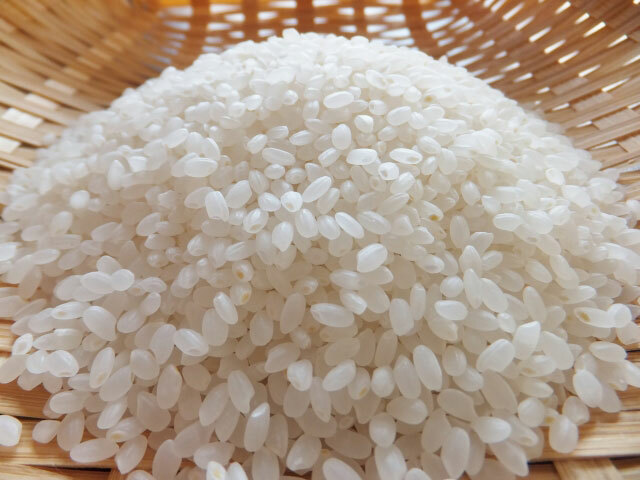 The short grain rice used in Japanese cooking is called uruchi mai, and while there are hundreds of varieties available, popular ones include koshihikari, hitomebore, akitakomachi and sasanishiki. These rice varieties have sweet, nutty flavors, ranging from sticky to loose and plump in texture, and are used to make sushi rice and served as an accompaniment to a meal. Mochi gome, also known as glutinous or sweet rice, is another type of extra-sticky, opaque, short-grain Japanese rice that is used to make mochi, a sweet delicacy with a chewy texture. All of these short grain rice varieties have been produced for decades (if not hundreds of years!) and grace the table of Japanese people across the globe. Stay tuned for next month’s post about medium-grain rice and check out some of our favorite rice recipes online… especially this one for mochi!